Calle Vista Home Just Listed!! Just listed!! This beautiful 3 bedroom 3 bath Calle Vista home features elegant hand-troweled wall finishes, ceramic tile flooring in the entry way, a gourmet kitchen with rich maple cabinets with raised panel doors and stainless steel Kitchen Aid appliances. The master suite features dual sinks with a walk-in shower and a spacious walk-in closet. 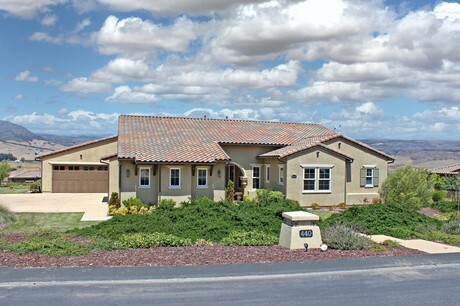 This home is truly a must see, with spectacular views of San Luis Mountain and Bishops Peak. Located just minutes from downtown San Luis Obispo, shopping and wineries.